Inside Stories: WILL BLANCHE DUBOIS EVER HAVE HER HAPPY ENDING? Poor Blanche DuBois! She is caught in a never-ending cycle of fragile hope followed by terrible disillusionment. 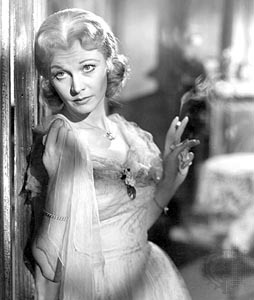 Blanche, the protagonist of Tennessee Williams' play "A Streetcar Named Desire," has lost the family plantation and is on the edge of a nervous breakdown, so she goes to New Orleans to stay with her sister Stella and Stella's husband Stanley. There she maintains grand illusions about the illustrious life she has led, and about how a great love will come to her someday soon. Stanley's friend Mitch starts courting Blanche, and she receives him enthusiastically. In a beautiful scene, Mitch vulnerably says to Blanche: "You need somebody. I need somebody, too. Could it be -- you and me, Blanche?" They embrace, and Blanche says, 'Sometimes, there's god, so quickly." For a moment, we think that they might make it as a couple. But soon after, Mitch learns of the dissolute life that Blanche has led, and cruelly rejects her. Stanley then rapes her, which prompts her breakdown. Every time I see the play or movie, I can't help but feel that perhaps the outcome will be different, as if each performance is a chance for the characters to try out a different scenario than the one that is scripted for them -- say, if Blanche revealed her true age and didn't deceive Mitch about it, or if Mitch responded positively to Blanche's show of personal strength in the last act, or whatever it may be. Anything other than the misery that befalls the characters. Each performance, in this way, is a bit like a rehearsal for the characters, who, stuck in a theatrical time loop, have a chance to act out a happier ending for themselves. These alternative stories hover around the actual ending of the play, giving form to the disillusionment that Blanche suffers.